Information on this page is only intended as general summary information that is made available to the public. References and links on this web site to any specific commercial product, process, service, manufacturer, company, or trademark does not constitute its endorsement or recommendation by the TPS. The Office of the Texas Attorney General, the Texas Health and Human Services Commission, and the Texas Department of State Health Services are committed to helping prevent the misuse of prescription painkillers in Texas. Through DOSE OF REALITY: Prevent Prescription Painkiller Misuse in Texas, our goal is to increase public awareness, education, and prevention efforts to preventing prescription painkiller misuse and save lives. Dose of Reality provides individuals, patients, health care providers, teachers, coaches and others with opioid-related resources in one location, allowing for quick and easy access to vital information. This new website includes details on approaches to preventing opioid misuse and addiction, proper pain management, safe storage of prescription painkillers, and guidelines on responding to an opioid overdose. It also features a statewide take back map of locations that accept prescription opioids for safe disposal. TTOR expands access to treatment, prevention and early intervention, and provides long-term recovery supports for people with a history of, or who are at risk for developing, opioid use disorders and overdose. In addition, TTOR promotes outreach and education for the public and professionals through training and community events. This new opioid response initiative will also enhance re-entry, employment and housing for people affected by opioid use. The opioid crisis is a public health emergency. Almost half of all drug overdose deaths in Texas involve opioids. The impact of opioid addiction spans all generations and cuts across all socioeconomic lines. expanding prevention through education and training. The Texas Office of the Attorney General is working to protect Texans from the scourge of opioid painkiller abuse and related overdoses which are devastating families throughout the state. 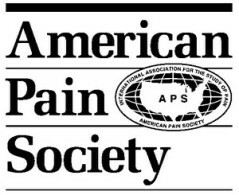 The American Pain Society is a multidisciplinary community that brings together a diverse group of scientists, clinicians, and other professionals to increase the knowledge of pain and transform public policy and clinical practice to reduce pain-related suffering. The Global Pain Initiative™ is a 501(c)(3), Not-For-Profit organization. Pain is the number one reason people go to a doctor. According to the National Institutes of Medicine, in the United States alone, chronic pain affects 100 million adults – that is more people than Heart Disease, Cancer and Diabetes combined. The Foundation believes that pain is a global problem, affecting nearly one billion people. Although the number one reason people go to a doctor is pain, there is little being done to really understand what pain is, applying science to change the way pain is treated and to ultimately realize a Cure! The ASPI is designed to assist clinicians/educators in hospital settings to coordinate and implement a Pain Resource Nurse (PRN) Program.Â It includes content on the prevalence and impact of pain; basic pain physiology; assessment of pain; pharmacological and non-pharmacological management; methods of drug delivery; treatment of acute, chronic and cancer pain; management of patients with substance abuse disorders; and the PRN Role. Emerging Solutions in Pain (ESP) is an ongoing educational initiative developed to address some of today's most critical issues in pain management. These issues involve balancing fundamental rights of patients and clinicians with the challenge of risk containment for opioid misuse, abuse and addiction associated with medical prescribing and use of controlled substances. 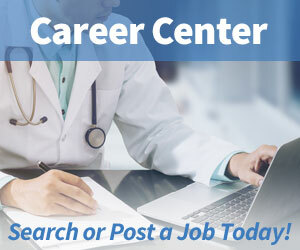 DoctorsSafeguard.Com provides training and information to the medical community at no cost. Due to the sensitive content of our training, all subscription applications will be verified prior to activation.